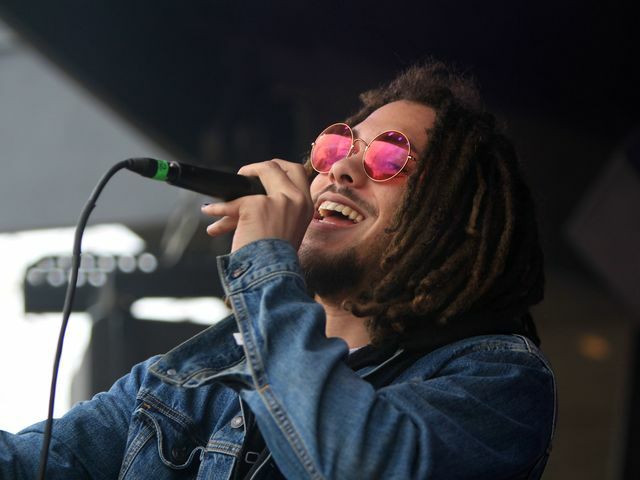 Kweku Collins: Kweku Collins is a 21-year old rapper/producer/songwriter from Evanston, IL that has been making music for most of his life. Born into a musical family, Kweku joined his dad on-stage playing African drums at the early age of 4. As a teenager, Kweku transitioned to making his own music, crafting bedroom classics throughout high school. In 2015, just shy of his high school graduation, Kweku joined the Chicago's indie rap outfit, Closed Sessions and shortly after released his debut EP, Say It Here While It's Safe. The EP received critical praise and landed Kweku on Pigeons and Planes 20 rappers under 20 List. In 2016, Kweku followed up with Nat Love - a proper LP that garnered an 8.0 Pitchfork Review, produced a Pitchfork Best New Track and landed Kweku in publications such as The FADER, Billboard, Chicago Reader, and more. Kweku's latest release, Grey, is available now via iTunes, Spotify, Tidal, and other digital retailers. Joseph Chilliams: If there's one thing that's been the marker of Joseph Chilliams' promising career so far, it's his impeccable comedic timing. On his debut project 2017's Henry Church, its title a humorously rough translation of Enrique Iglesias' name, the 28-year-old Chicago rapper's goofball charisma shines as much as his thrillingly eccentric flow. He'll rap something as laugh out loud funny as "open up that incognito tab on Google Chrome / add in my Christian Mingle profile and my Black People Meet" on the MfnMelo-assisted rave-up "Buck" but his delivery is so on point, he transcends any "joke rapper" designations that might be thrown at him. Just watch his new video for Henry Church single "Fergie," which Noisey is premiering at the top of the page.